Advanced Resources offers the flexibility, scalability, and technical expertise you need to compete in today's ever-changing marketplace. Advanced Resources helps you solve complex business problems and position your business for the future. 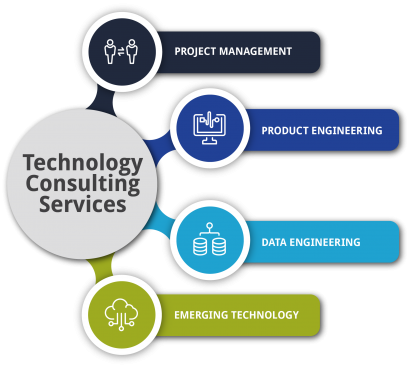 We provide technology and business solutions through our Project Management, Product Engineering, Data Engineering, and Emerging Technology solution offerings. Your needs don’t always fit into one single solution. You need flexibility, scalability, and technical expertise to keep pace with today’s dynamic marketplace. Our technology professionals are trusted advisors who help you meet these challenges head-on. Whether you need additional resources to complete your team, key resources for your organization, or strategic advisory and consulting services, Advanced Resources is your partner. Contact us today! Let’s discuss how Advanced Resources can help you achieve your goals. In today’s complex world of fast-paced business and technology, the need for having the right leaders has never been more crucial. Making sure projects are delivered on time and within budget require leaders with strong business acumen and the ability to navigate complex corporate structures. Advanced Resources brings the right people and process to meet today’s challenges. We do this by delivering experience, reviving struggling projects, and providing PMO leadership. Software as a Service (SaaS) has changed the landscape and having the right partner to support your needs is crucial in today’s changing technology environment. Advanced Resources’ consultants focus on the entire product lifecycle from idea, development, and deployment, through testing. You have more access to data than ever before. Having the right solutions to analyze and optimize data can be the difference between success and failure. Advanced Resources provides customized data solutions, whether you need data design, architecture, strategy, or support. We have the consultants to meet even the most complex data environments. Architecture Alternatives, Benchmarks, SLAs, etc. The world of technology is changing at a faster rate than ever before. Our consultants stay on top of the leading edge of technology innovation in order to meet your needs. Advanced Resources provides the necessary people, process, and solutions for the most complex technology needs.